It didn’t take long for Vincent Davidson-Gilbert’s life to fall apart once he starting using drugs again. The former Seaside resident had a house, a good job and an eight-year marriage. Though he went to prison at 18 for a spate of crimes committed during his first streak of drug abuse in Portland, he’d spent several years living as a productive member of North Coast society. But in September he lost his supervisor job at Home Depot in Warrenton. Then he began to get high, first with black-market oxycodone, then with heroin and methamphetamines. Everything in his world began to crumble. “It happened all so quick,” he said. As his relapse worsened, Vincent asked his mother, Kathleen Gilbert, for help. Together, they explored different treatment options. She’d been through this search before with her older son, Devin. They checked with Astoria Pointe, KLEAN in Long Beach, Washington, and elsewhere for inpatient treatment, and with Clatsop Behavioral Healthcare and the Oregon Health Authority for outpatient care. But with no insurance, little money and drugs overriding his judgment, Vincent felt powerless. “I know I needed help, but I wasn’t able to do anything; I was really on the drugs,” he said. Meanwhile, his usage intensified. Drug-induced drama played out as he mixed with dealers and other junkies, made unwise decisions and frightened his loved ones. “In six months, (he) completely destroyed his life,” said Kathleen, a sterile supply technician at Providence Seaside Hospital who often sees patients in the throes of drug abuse. Before Vincent could get help, he was arrested Jan. 25 — his 27th birthday — for burglary and for being a felon in possession of a firearm. After his family posted his bail, Vincent committed a second burglary, in which his estranged wife was named among the witnesses. On Friday, Circuit Court Judge Cindee Matyas sentenced Davidson-Gilbert to 5 1/2 years in prison. It didn’t matter that Vincent’s first felony occurred almost a decade ago. It didn’t matter that he had volunteered for a local food bank and helped Providence Seaside Hospital set up for community parades. It didn’t matter that he was a loving son and brother, and a much-loved uncle to his niece and nephews. What mattered is that Vincent was a felon caught with guns, and, whatever the bitter backstory behind the burglaries, law enforcement determined he met the legal definition of a burglar. 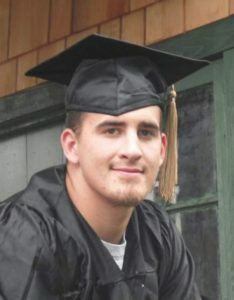 Stories like Vincent’s are depressingly common in Clatsop County and throughout Oregon: A person abuses painkillers before turning to harder drugs, has trouble finding or affording proper treatment, engages in criminal activity as the addiction becomes a lifestyle, and ends up in prison. “It makes me wonder what would’ve happened three months before he got arrested if we could have helped him get into treatment,” Kathleen said. Instead, Vincent and his mother were struck by the limited options available in the county for addicts without means. Although both outpatient and inpatient treatment are available, most inpatient treatment facilities require private insurance, which the unemployed Vincent didn’t have. Private inpatient care is pricey — “anywhere between a couple of hundred dollars a day to a couple of thousand dollars a day,” said Rory Gerard, who sits on the county’s Human Services Advisory Council as the mental health and addiction representative. Clatsop Behavioral Healthcare is the sole treatment center in Clatsop County that accepts insurance through the Oregon Health Plan — often the only insurance option for low-income Oregonians. However, the agency has come under heavy fire lately for shortfalls in mental health treatment and drug and alcohol dependency services. Clatsop Behavioral Healthcare employs numerous treatment providers, but most are not licensed. Rather, they work under the supervision of someone who is licensed. In other words, the agency doesn’t have enough providers with the right level of credentialing to offer adequate treatment, Gerard said. Addicts who need professional treatment the most — people like Vincent — may be the least likely to get it. Vincent and his family had decided that what he really needed was inpatient treatment, a 24/7 care environment where he could stay for a month or more. He was in the process of applying for the Oregon Health Plan when he was jailed. Had Vincent enrolled in the plan, he would still have faced another problem: There are no inpatient facilities in the county that accept it. “If you are poor in this community, and you need an inpatient treatment program, you have to leave the community,” said Inhofe, who works with indigent clients. A person who ventures outside of the county for treatment will likely face waiting lists for facility beds. “You can’t do anything for them until a bed opens up — possibly in Bend, possibly in Pendleton, possibly in Eugene,” she said. When Gerard worked for Clatsop Behavioral Healthcare, which refers clients to inpatient facilities, some people waited months for a bed. “Even though you may want treatment, you may have the money for treatment, you’re going to be waitlisted,” he said. Addicts with children have it particularly rough, Inhofe said. The children may get placed in foster care while their parents seek treatment in another county. With waiting periods often lasting 90 or more days, followed by a three-month treatment program, the process may keep them separated for a long time. Gerard noted that Astoria has several marijuana shops but no inpatient beds for low-income addicts ready to clean themselves up. 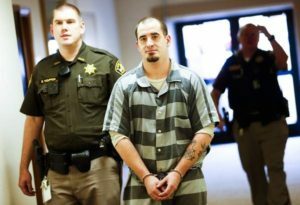 This week, Vincent will be transferred from Clatsop County Jail to Coffee Creek Correctional Facility in Wilsonville. He will undergo various tests and get assigned to a prison where he will serve the majority of his sentence. Because he is locked up, Vincent is clean. But, since his arrest, he hasn’t had access to the kind of drug and alcohol treatment that he and family believe he needs to stay sober over the long run. In Tillamook County Jail — where Vincent was briefly held because the beds at the Clatsop jail were maxed out — inmates with addiction issues can work with a jail transition specialist named Tami Long. “When you’re talking severe addiction — to the point that you’re being incarcerated over and over again — they don’t stay clean long enough to engage in any kind of treatment, so it’s just this vicious cycle,” she said. Long, who helped develop the position last year, meets with interested inmates shortly after their booking, evaluates them, determines what their treatment needs and goals are, and creates a transition plan with them. She gives the plan to their attorney, who presents it to the court. The information may influence how the inmate’s sentencing is carried out. A court may, for example, postpone an inmate’s sentencing and grant a conditional release to receive treatment. The goal is to reduce recidivism rates, though Long said the program is still too new to know whether this is happening. A comparable service doesn’t yet exist for inmates at Clatsop County Jail. Vincent and Kathleen hope the prison he is sent to will, in a few years, deem him eligible for a treatment program in the final stretch his sentence. “I just hate the idea of him losing five years without him getting any treatment,” she said. Oregon spends about $30,000 a year per inmate, according to 2013 data from the state Department of Corrections. Kathleen thinks that money would be better spent on drug treatment as a means of crime prevention. President Barack Obama, alarmed by the rise in prescription drug and heroin abuse across the nation, in February proposed devoting $1.1 billion over two years to expand treatment and prevent overdoses. The president wants to increase patient access to buprenorphine, a medication used to treat opioid disorders, and make mental health and substance abuse treatment comparable to medical and surgical benefits for people in Medicaid, the health insurance program for the poor and disabled. In April, Gov. Kate Brown signed a bill into law that will help doctors in Oregon use the Prescription Drug Monitoring Program database to flag patients who might be susceptible to drug abuse. The Oregon Health Authority reported that prescription painkillers were involved in more drug overdose deaths than any other type of drug in 2013. The state has ranked among the highest in the nation in the nonmedical use of prescription pain relievers. Davidson-Gilbert knows he must be held accountable for his actions. His crimes, though not drug-related — he wasn’t caught selling or possessing, for example — are drug-associated, the sort of misdeeds addicts perpetrate when their lives go into free fall. Even in a world with abundant and inexpensive treatment options, addicts would still need to be asked one fundamental question: Why did they turn to drugs to begin with? Asked why he first took drugs as a teenager, Vincent said he was a “young, dumb kid” who would try anything put in front of him. But Kathleen also suspects that the death of her oldest son, Mark, in a car accident at 19 — when Vincent was 11 and Devin 13 — precipitated both boys’ later drug use. Devin, who has overdosed several times, is in an outpatient program in Arizona. Though devastated that Vincent will soon return to prison, Kathleen said she is grateful he didn’t end up fatally overdosing as a number of young men and women from the community have recently.